Creating a niche of Commercial Processing Plants such as Noodles Processing Plant, Ginger Powder Processing Plant, Ginger Paste Processing Plant, Garlic and Ginger Paste Processing Plant, Corn Puff Extruder Plant, Pasta and Noodles Extruder Machine and many more items at its best, with utmost quality. We are well known enterprise engaged in manufacturing and supplying high in demand Noodles Processing Plant. Highly demanded by small and mid scale noodle making business entities, our offered innovative machinery is best known for its abrasion resistance and accuracy. Featuring rugged steel construction and powerful conveyor belt mechanism, this machine produces noodles with its cold rolled pressed rollers at an efficient speed. With the support of vast infrastructure, we are involved in manufacturing and supplying next generation Ginger Powder Processing Plant. Highly demanded for its smooth operation and efficient speed, our offered machinery is equipped with stainless steel blades with long lasting sharpness to provide powdered form of ginger buds. Developed using industrial grade stainless steel, this powerful machine can be ordered at market leading price. We have gained huge acceptance as major manufacturers and suppliers of best in class Ginger Paste Processing Plant. This powerful equipment is widely used to lessen the time of ingredient preparation in industrial kitchens and ginger food products industry. 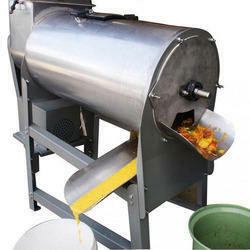 Equipped with highly efficient 3hp motor this machine converts the ginger buds into paste form with superior speed. Owing to our technical prowess, we have surpassed the competition by manufacturing high performing Garlic and Ginger Paste Processing Plant. Our offered machinery is ideal option to make paste of ginger and garlic buds with utmost efficiency. Featuring superior quality stainless steel construction, this machine is equipped with powerful motor. Moreover, this machine can be availed from us in varied dimensional specifications. We are the manufacture of Corn Puff Snacks Extruder like puff ball, snacks line & snacks rings. The offered extruder is manufactured under the guidance of skilled professionals using optimum grade base component as per the set industry norms. These are fabricated using finest quality stainless steel. Available in different capacity. We manufacture and exporter of Noodles Extruder, Noodles made from Wheat flour, Rice Flour, any shapes snacks made from Wheat flour, Vermicelli Extruder, Noodles Extruder, Noodles making Machine, Pasta Extruder, Fryums Extruder, pellets extruder machine, pasta extruder machine, snack extruder machine, fryums machine manufacture, snack making machines, screw extrusion, food extruder manufacturer, single screw extrusion, snacks making machine, fry type snacks extruder, snacks extrusion machine manufacturer, Kurkure Extruder, Corn Fried Extruder, dough extruder, food processing machines, food processing equipment, pasta extruder, food extruder, puffed rice extruder, puff food extruder, rice snacks extruder, rice vermicelli extruder, rice crispy extruder, etc at industry competitive prices. We are reckoned as prominent manufacturer, supplier and trader of supreme quality Pellets Snacks Extruder. 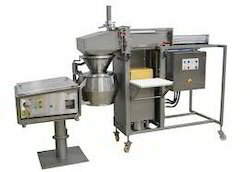 Our offered extruder is one of the best selling equipments in the snack food processing industry. These machines grind mix and cook snack food material with at optimum pressure and extrude the finished product from precisely designed mould. 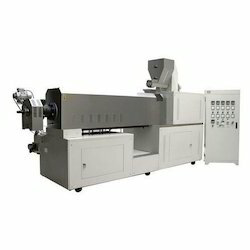 Our prestigious clients can avail this high performing machine from us at industry leading price. 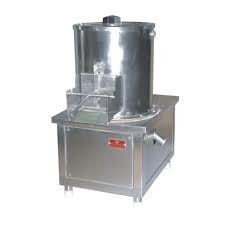 Avail equipment for dicing and cubing papaya and other fruits like apple, papaya, carrot etc., that meet with the specific requirement of the industry. 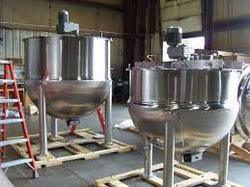 Cubes and dices of the desired size can be availed with the use of these machines. Easy to maintain, these machines can be availed at competitive prices. Rasagulla is a very famous Indian sweet made of Paneer/Indian cottage cheese and also very easy to prepare.They are actually paneer balls soaked in sugar syrup. 1. Steam jacketed vessel having all contact parts of steel. 2. Our machine is easy to prepare rasagulla. 3. High quality ceramic insulation with ss cover. This machine is used for milling the raw material into super-imperceptible powder. Could be used for the pharmacy, food, chemical, and other wet material, this technology is the first class in China. This machine is used for milling the raw material into super-imperceptible powder. Could be used for the pharmacy, food, chemical, and other wet material, this technology is the first class in China. 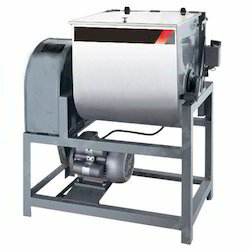 This machine is used for milling the raw material into super-imperceptible powder. Could be used for the pharmacy, food, chemical, and other wet material, this technology is the first class in China. This machine is used for milling the raw material into super-imperceptible powder. Could be used for the pharmacy, food, chemical, and other wet material, this technology is the first class in coimbatore.we have differnt type. 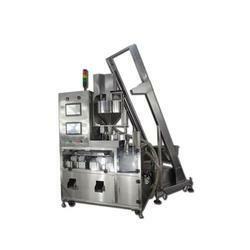 Automatic Liquid Pouch Packing Machine is using the best quality components and ultra-modern techniques in line with industry standards. We provide this fill and seal machine in variegated sizes and designs as per the requirements of our customers. Apart from this, offered fill and seal machine is widely praised by the clients for its various quality attributes. Our Company Manufactures pouch packing machine . Seeds,Sugar, coffee ,tea, namkeen snacks ,dry fruits, nuts ,rice , cereals ,corn flakes ,cashew nuts, pulses, candy, spices,milk powder ,detergent powder etc can be easily packed with this machine. We offer potato peeling machines fabricated in heavy duty stainless steel, which ensures sturdy operation and safety. These highly efficient machines are available in standard configurations. The innovative design allows simple operation and long lasting performance. Heavy duty peeling blades have large capacity which saves considerable time and labor cost. The chamber walls are covered with Carborundum. Our potato peelers are ideal for making snacks like potato chips, french fries and other snacks. 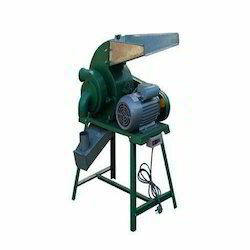 The high performance peelers are driven by powerful 2HP, 3PH motor.